Nice job! Congratulations. Did you take after a short school or a testing center? Indeed, congratulations & many happy landings (to walk away from LOL). Congratulations!! Now on to the check ride. That’s an awesome score! –shows that you’ve put a lot of study into it. 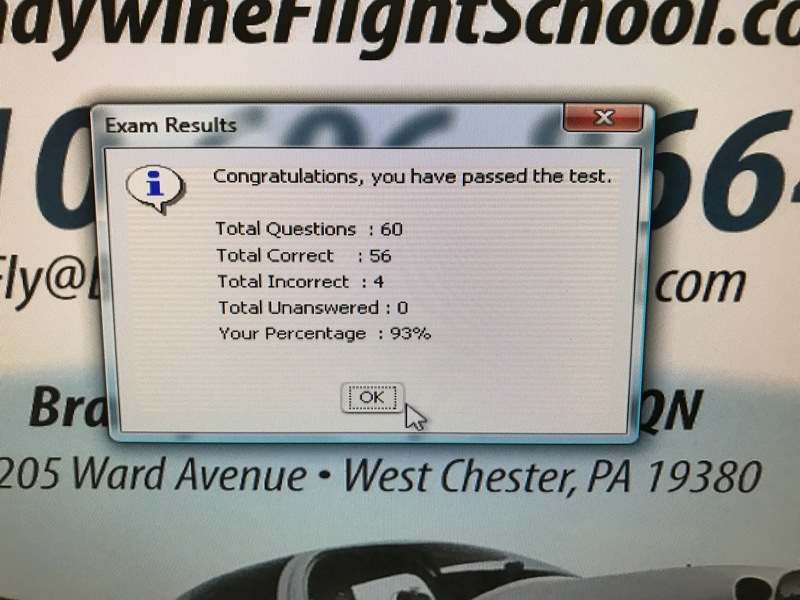 They say that you don’t want a 100% because the FAA examiner will think you just memorized the study guide. Whether or not that’s true, you passed, and that’s all that matters! Congrats! Woohoo!! !, that is an excellent score, congratulations!! Small world. I started my PPL at KOQN (back then it was still N99) a few years back on N5333Q (C152).